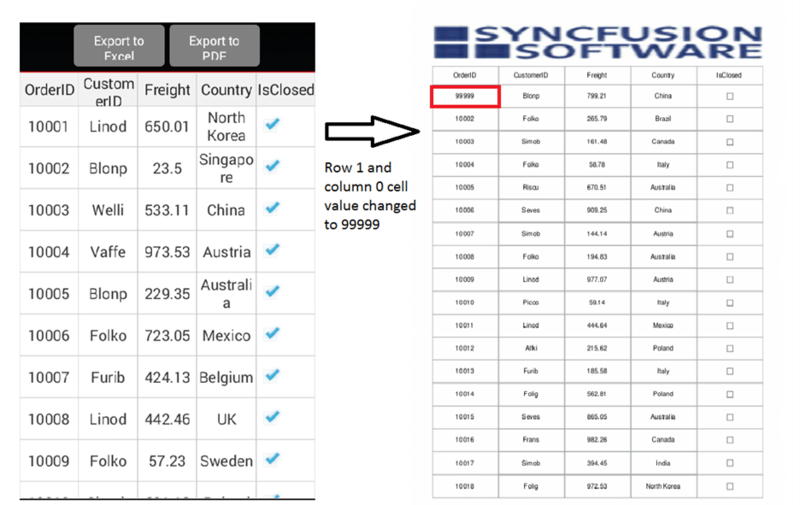 How to customize cell value while exporting the SfDataGrid into Excel and PDF? We can customize a particular cell value while exporting the SfDataGrid to Excel and PDF by handling DataGridPdfExportingController.CellExporting event. The below code helps to customize a cell value while exporting the SfDataGrid to PDF. DependencyService.Get<ISave>() and DependencyService.Get<ISaveWindowsPhone> are interfaces that help you to save the exported grid in various platform projects. 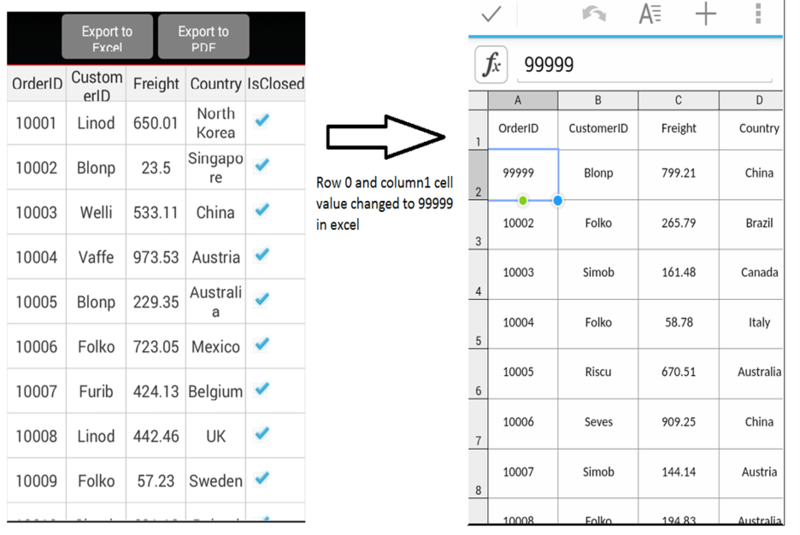 The below code helps to customize a cell value while exporting the SfDataGrid to Excel. Like PDF exporting, we should add the interfaces implementation for excel exporting also.